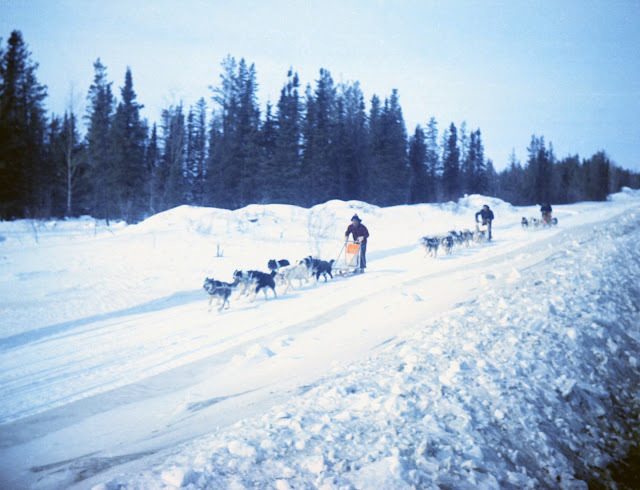 Here's another photo of the dog sledding race at the Leaf Rapids Winter Carnival, sometime in the mid-70s. That looks like an insurmountable lead to me. Will Don Draper Ever Learn?